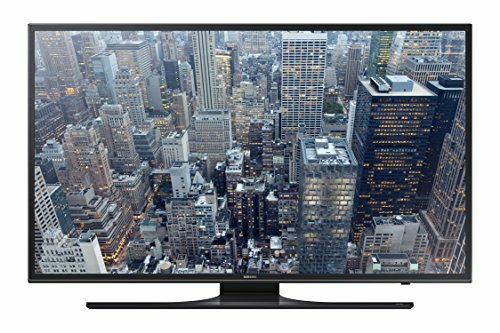 Choosing a 55 inch TV for under 1000 dollars can be a difficult job when there are so many models and units on the market. We know this choice is confusing when you have an array of beautiful TVs in front of you, and you possibly want them all, but you have to choose just one! That's precisely why we have created this list and a short buyers guide. 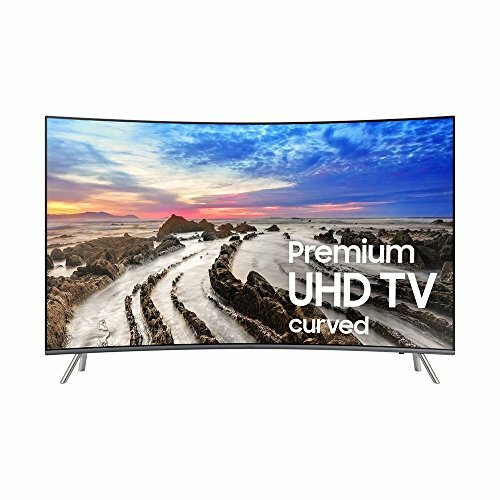 Which brand for a 55 Inch 4K TV Under 1000 Dollars? 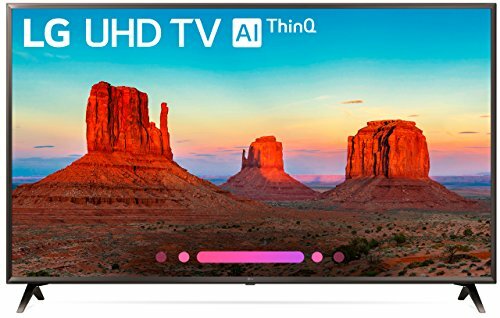 Is a 55 Inch 4K TV Under $1000 good quality? 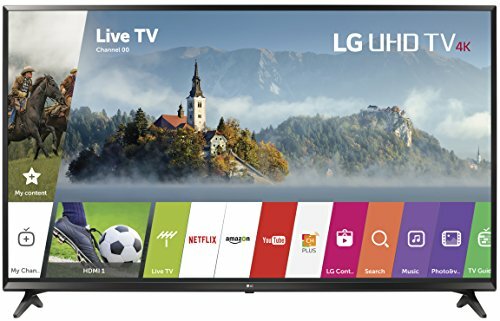 Where to buy a 55 Inch 4K TV Under 1000 Dollars? We're hoping that this list will help you in deciding which TV is best for your needs. From the picture quality of each model to their input lag and overall design - we're covering everything you need to know. If you require more advice on buying a 55 inch TV under $1000 in general, our buyer's guide is just below! Not bothered about 4K? Try this review of the top 55-inch TVs under $600. 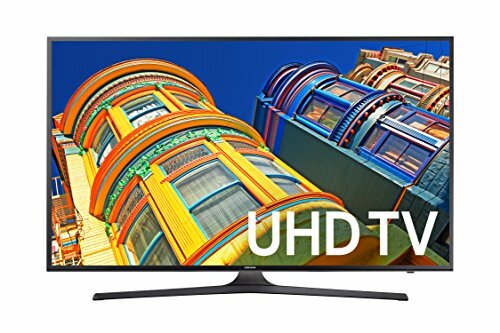 Arguably one of the best quality TVs on the market right now under 1000 dollars is this Samsung UN55MU8500 model. It has a beautiful curved design and is very aesthetically pleasing to the eye. The borders are extremely thin and chrome-sliver which is sleek and modern for any household that needs a new TV for their living area. The unit stands on two spider legs at either end of the screen, although this means it has a larger surface area than usual, since the TV is thin it can be mounted onto a wall easily. The HDR content on this model is saturated meaning it can display a wider range of colors, no matter what movie you're watching - it will be bright and bold! While it isn't the cheapest model on the market, you're paying for the quality you get, the amazing picture quality and the deep black uniformity is a nice touch too. When it comes to contrast, the Samsung MU8500 doesn't disappoint. 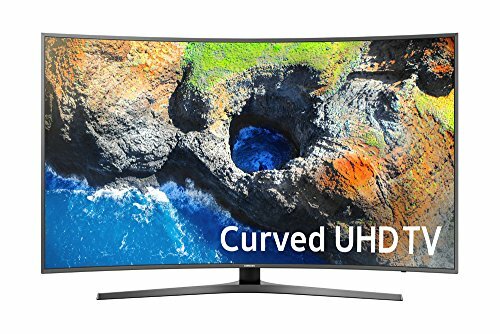 It has an above average native contrast ratio which is unique and unusual for a Samsung TV. Considering the reasonable price of the model, it also has some great features including; smart connectivity, low input lag, and a bright screen. One of the only disadvantages of the MU8500 is the lower sound quality, previous customers haven't reviewed the sound quality as bad, but it has the potential to be better. We suggest purchasing a soundbar or external speakers to improve the quality and to get the best viewing experience possible. Why We Liked It - It's a better than average TV with a 4K resolution, purchasing a model like this will provide everyone in your family the best movie and TV show experience they have ever had. Another 4K resolution model is the Samsung UN55KU6300 which has an excellent contrast ratio and a low input lag (perfect for gamers!). It supports an HDR input which is helpful if you wish to keep your model updated. However, the design of the KU6300 is a little different from our top choice. For those of you looking for a reliable model with a sturdy and stable stand, this is an ideal choice. Rather than having a chrome-finish, this model is more suited to those who like glossy black borders and a center stand. It doesn't have a curved screen, but this means that it can mount onto any wall easier. Another benefit of this is that when viewing the TV from an angle, you can still clearly see the picture. However, it, unfortunately, does suffer from some bad reflections if in direct sunlight. For this reason, we would recommend placing it somewhere that doesn't see a lot of natural light for the best viewing experience. Other than some minor flaws with this model and its design, it's a perfect option for anyone who loves something a little different. It's thin and has a great picture quality which is always a huge bonus. Something that is a bit disappointing with this model is the judder it presents in certain movies, although it's not all of them - it can be easily fixed with some setting changes. Why We Liked It - This is an affordable, good-quality model that is perfect for anyone who loves something worth the value they're paying. It can be annoying when you pay a lot for a TV, and it's not worth it, but this KU6300 model definitely is! Talking of attractive curved TV models, this MU7500 is another 55 inch TV under 1000 dollars that we love. Its screen reflection isn't severe meaning you can watch your favorite shows and movies without a care in the world. It has a beautiful aesthetic appeal we just can't get enough of, it's so good looking! This is possibly the best looking 55 inch TV on our list! The model has a 4K resolution which is visible when viewing, this combined with the curvature of the screen is a tremendous pleasurable experience for all viewers. Another perfect feature included with this model is the web and Bluetooth connectivity which allows users to stream and watch movies and TV shows from the internet rather than just on live TV. Contrasts of color through the front center of the screen are an impressive touch for this model, you almost feel involved with the movie you're watching it's so colorful and bright! This factor combined with the low input lag which is good for professional gamers is something we can't fault at all. Despite these advantages and positives, there are some minor flaws including; the side angle viewing contrast which means the picture and color saturation often degrades at an angle and the local dimming feature which is not effective on this model (but this feature is slowly being faded out anyway!). Why We Liked It -It's bright and bold, something we think is a great feature is the chrome-finished borders and stand. It works really well with the newer homes or inside a modern apartment. Plus, the low input lag means the gamers in the house can plug in their console and start winning at their favorite games. 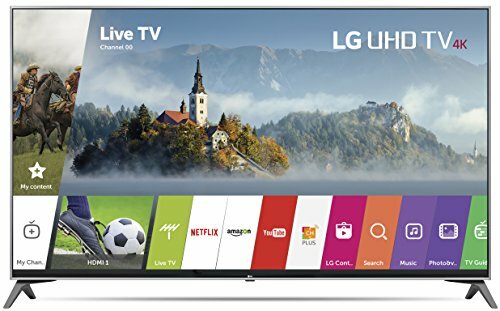 For those of you who prefer a more basic TV model, the LG UK6300 has a super functional design that may not gather attention in any room, but it will simply sit there and do the job it's meant to. The screen stands on two spider leg stands that are located at either end of the unit, and the borders are roughly a good size which is always a great thing if you want to make the most of the space you're using. The low input lag on the model is responsive, and the contrast ratio on the brighter colors is relatively great too. Although the design is simple, it's still nice to look at, and the picture quality is above average, the black screen uniformity is poor considering the price, but unless you're a tech guru, you won't notice. While there are some minor flaws with the TV, it is generally a great model to have in your home. The stand is the full width of the screen, and since it's made of plastic, you won't have any issues with it. It's supportive well too, this means if you have young children or toddlers walking around, you won't have to keep them away. But we wouldn't recommend you allow them to go near it either as any large piece of technology can sometimes be dangerous. One flaw to note is that there is a less accurate RGBW pixel structure this isn't something that is a decision maker, but it's also something to consider before buying. Why We Liked It - Why wouldn't we like this? It's practical, functional, and generally just a great TV to have in your home. It might not be the cheapest or the most affordable TV ever, but it has some extra features and is all-around a nice model to have! Do you want something ideal for watching sports on or playing your favorite games on? The Samsung MU6300 model is one you have to consider if so! It's better than any other average model with 4K resolution and a great image quality. It is one of the best choices for those who love action-movies or anything that needs good motion handling as this is great at it. The native contrast is another selling point of this model too, it allows the colors to pop and be super bright, even if you're watching a movie that has darker scenes. The design is pretty standard for the price, and there isn't anything wrong with it except, we do think it could do with some minor improvements. Don't get us wrong, we don't have any immediate problems with the design, but it just won't be turning heads anytime soon. One great aspect of the TV is that the build quality is higher than average too meaning although it's made from plastic, this isn't the first thing you realize about it. Something that needs improving is that the image quality degrades at an angle. If you have a larger living area, then it may be difficult to see the TV from different angles properly. Why We Liked It - The best 55 inch 4K TVs under 1000 dollars are always the ones you don't expect. This model may seem basic and standard, but it's well worth every cent and dollar you spend on it! Plus, there are always discounts on this model too. This LG UJ6300 model has a wider than average viewing angle and low motion blur which is good news for all the fictional fanatics out there who love to watch movies and TV shows all the time. It features a smart platform, so you can stream everything you wish and includes a low input lag too. While the design and overlook look of the TV is basic and matte black, it's still nice to see something so reasonably priced considering how expensive some 55 inch 4K TV models are these days. Placing it on a wall is an easy task if you wish to, but it will equally stand supported if you wish to place it on a unit simply. When viewed from a side angle, this TV is thickest near the bottom, and this isn't an issue unless you like your TV very close to a wall. Also, the native contrast is better than other models of this price. However, it does have some minor flaws. The TV isn't very bright which makes viewing darker scenes a little difficult. The blacks also aren't uniform for this reason meaning that many blacks appear grey sometimes. Why We Liked It - Considering this TV is nearer the more affordable end of the scale, it's a great choice for any family who wants a standard TV. It may not have the best features, but it has everything you could need. 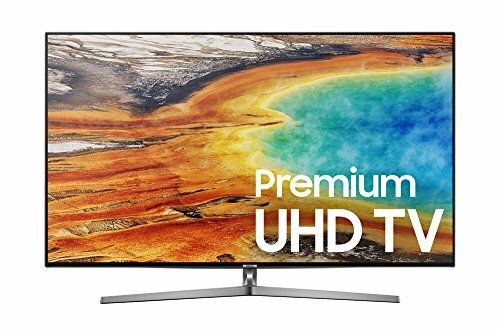 Another model to consider if you're looking for a modern and sleek 55 inch TV under 1000 dollars is this chrome-finish MU8000 model by Samsung. Its above average in quality and doesn't have a plastic finish, unlike many other models. The borders are thin and small meaning you have more viewing ability when watching the TV. Having thicker borders is annoying when you want to enjoy a movie or TV show, this model doesn't allow issues like this to exist! It's an ideal TV to mount to the wall as it's super thin and elegant. One of the only issues with thickness is that it is a little thicker at the bottom of the unit, but even this isn't very wide considering other models. The input lag is low, and it has good brightness, what more would you want? We are pretty happy with how great this model is. 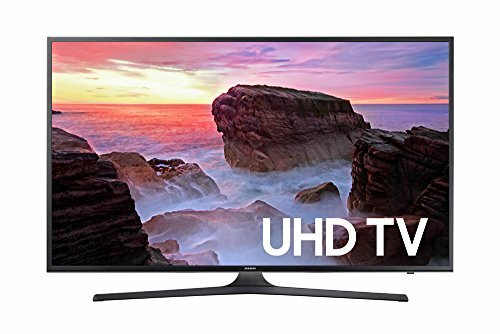 Samsung is usually great at producing TV models for an affordable price, and this MU8000 model is no different. It is the perfect balance of quality and price without looking or feeling cheap at all. It does have some flaws that could be improved on but don't most TV units? Something we thought it was worth mentioning about this model is that the image does degrade at an angle and it has a mediocre color gamut - this doesn't mean it isn't bright and bold, it just means that sometimes the TV struggles to really show colorful how it should. These issues are only minor and won't directly affect your experience. Why We Liked It - The TV's with chrome-finish is our favorite, there is something about them that put them higher in our list because they're just stunning. Every modern home needs a TV with a mirrored finish! Sometimes when you're on the hunt for a new TV, you want something that is reasonably priced, you may not be on a direct budget, but you don't particularly know what you're looking for? We know how hard of a struggle this can be! This JU6500 is a great option for all you people out there with this predicament. It has a great overall picture quality and an extremely low input lag while also having an average sound quality (which is impressive for a Samsung model as they typically have inferior sound quality!). While we like the design of this model, it had some significant improvements needed to move up our list. This is simply because there are better models higher in the list that look and feel better than this one does. The picture quality isn't the best, and the smart features could be better. The issue of quality within images and pictures isn't major unless you like a clear and crisp image on your screen. This TV claims to be a 4K resolution, but it isn't always this. 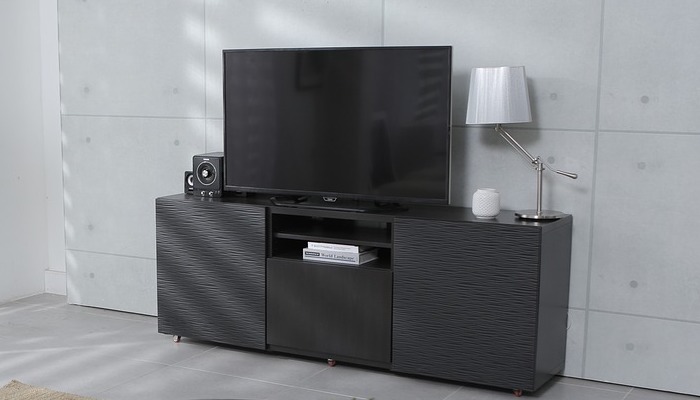 Why We Liked It - We love how unique the stand of this TV is, it's a little different to the models and would fit perfectly in any modern home. Despite the design being glossy, it's still an excellent model for the money you spend on it. 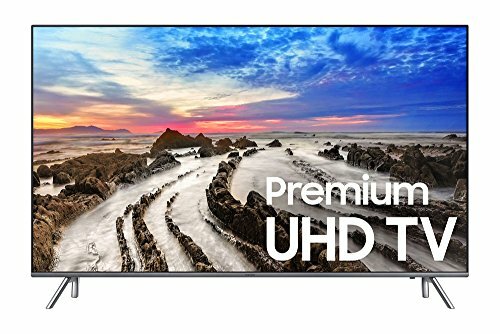 If a premium is a style you're aiming for when you look at TV's then this Samsung MU9000 is definitely something you should consider. But, beware that looking premium comes with a price of paying for it too. While there are some nice touches on this model such as the textured back and the thin borders, it does have some issues that are worth discussing. Before this, we should talk about the great things! It has a modern design with high picture quality and smart features even the little ones will love. It feels super responsive and can get bright if you wish too. However, everything almost perfect has to have some issues we can't forget about. This TV loses a lot of accuracies when viewed from an angle which can seriously hinder your experience when watching something with the whole family. It also has poor local dimming and a lower than average sound quality. Considering the higher price of this mode, you would expect something a little better than the reality of what you get. A versatile choice for all the gamers and movie watchers out there is this 55-inch 4K UHD TV by LG. The UJ7700 model has a nice design with a unique grey color that we think is pretty neat. It has some excellent smart features that make it different from other models and the low input lag feature allows it to be ideal for gaming. Yet, the positives stop there. The picture quality of this model isn't the best, and neither is the sound quality. While the sound quality isn't a major issue, the picture is something you need to be perfect on a TV. Especially if you're buying a TV for the whole family. This TV isn't the worst TV on the market, and it is a great option to choose if you have the money, but we just wouldn't recommend it if you're a first-time buyer. Why We Liked It - The screen may not be curved, but it's definitely a Tv that makes for a great movie experience. Imagine this, your whole family sat around with a bowl of popcorn and some snacks, eating away while your favorite movie is playing - isn't it just heaven? Brands can differ a lot, but Samsung is always producing the best quality TVs for the money. LG is also a major competitor when it comes to choosing an ideal 55 inch TV under 1000 dollars. It all depends on what you're looking for and what suits your needs most. This also depends on which model you buy, all of the models on our list below are good quality, and under $1000 so you can be sure that buying any of them won't end in disappointment, but there are some brands and models out there that may be bad quality, you don't know unless you research them. Most instore technology retailers will sell TVs and within their range will be 55 inch TVs, but these aren't always guaranteed to be under 1000 dollars. Your best bet is to go on Amazon or another online retailer and purchase it from there. If you are someone who likes to see a TV in person as well as purchasing it online then visiting a store could be a good option (even if you're not buying it from them!). Purchasing your TV online means you'll get a lot more discounts and deals, and then you don't have to sort out transport for your TV home, it gets delivered straight to you instead! Quality is always something you must look for, paying a little more for a model might be worth it if it means you're receiving a better experience and the TV lasts longer. Take a look at previous customer reviews as they're often the most reliable and tell the truth. The first ever TV commercial was broadcast in July of 1941 in New York before a baseball game! The company paid around $9 for the ad.